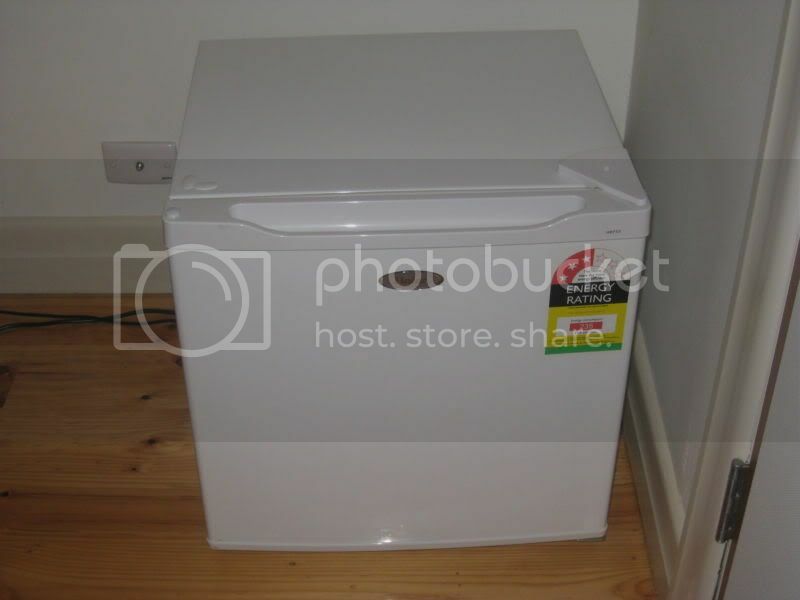 The newest brewing related hardware addition is a little Baby Fridge (Haier 55 Litre Bar Fridge). The little fridge should be just the right size for yeast starters (the general house temperature tends to be too cold in winter and to hot in summer), cheese making and maybe even keeping some English Ale at 'warm' beer drinking temperatures (10-12degC). Like the keg fridge, the little Baby Fridge's thermostat is broken and so the compressor runs all the time and freezers everything inside. 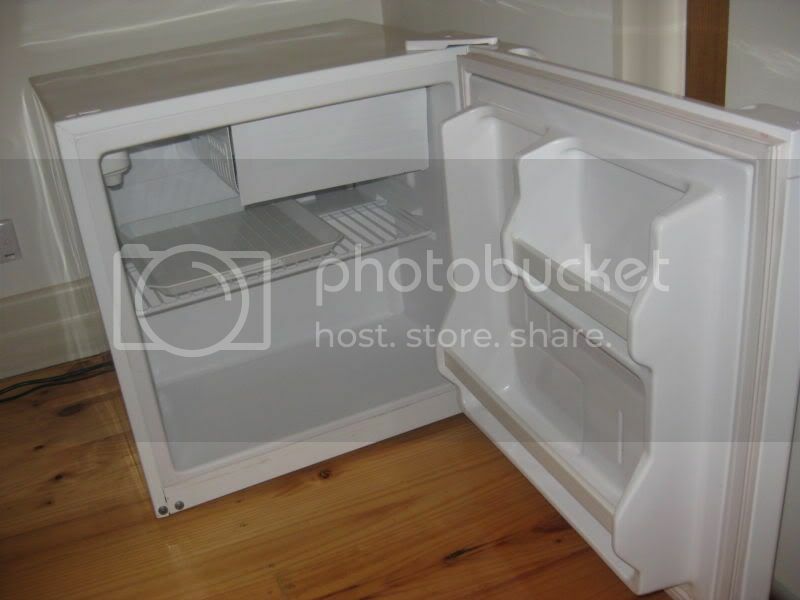 Unlike the keg fridge, the Baby Fridge was not a freebie, but not too many people want 'broken' fridges so it cost only $10 - via Ebay. Since the fridge will be hooked up via a STC 1000 temperature controller, the fact that the fridge is 'broken' is more an advantage than a disadvantage. 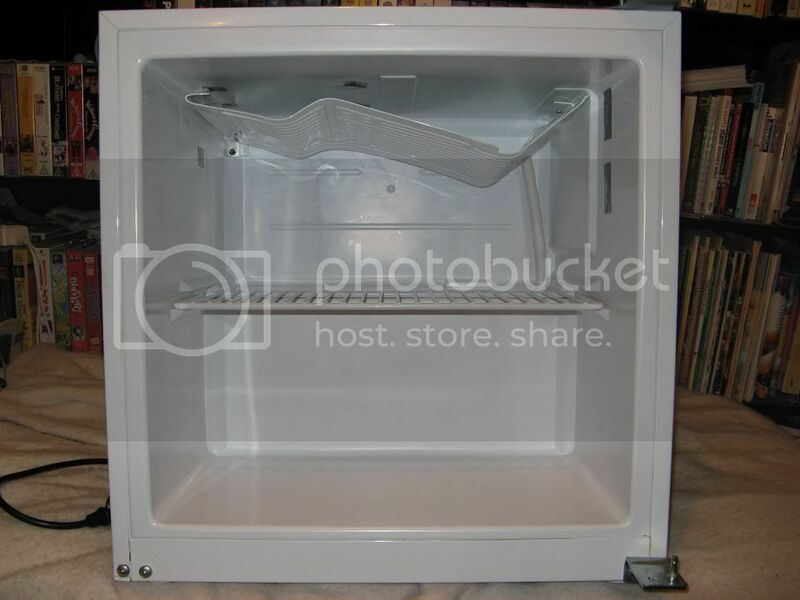 In order to provide more floor space and usable room inside the fridge - for starter flasks and large containers - the door-shelving was removed. The plastic liner is easy enough to cut with a sharp Stanley-knife. Gaffer-tape should seal the insulation without problem. 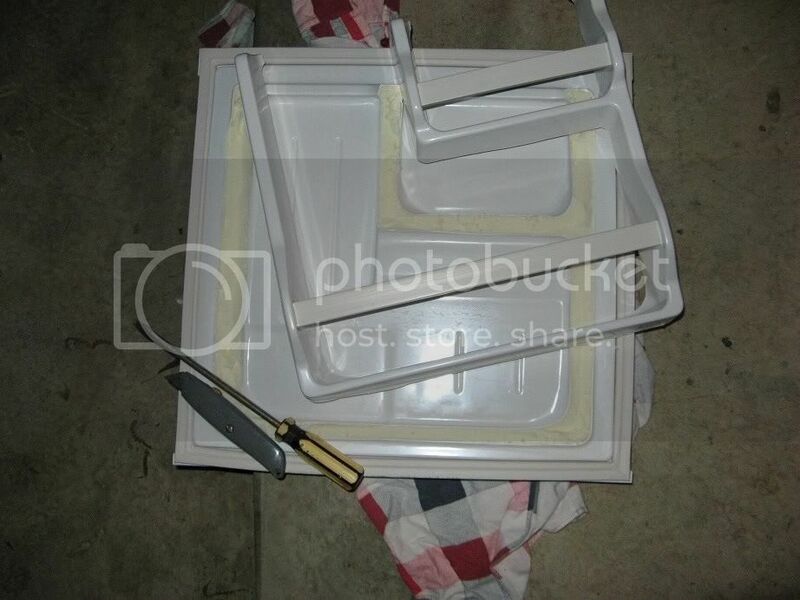 The freezer compartment door was removed and the cooling-plate bent along the top of the fridge so that it takes up less room. The broken thermostat, plastic housing and temperature probe, were also removed. 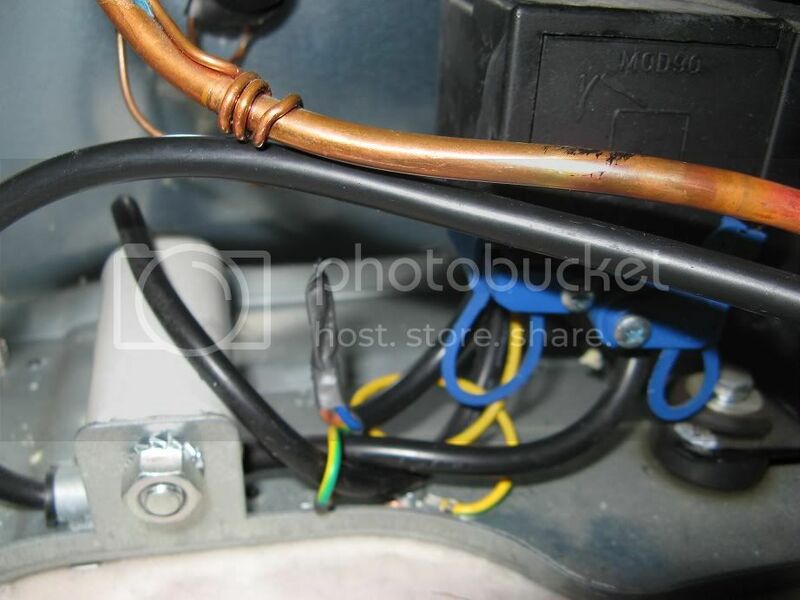 The fridge-internal-electrical's don't need to be changed in order for the external controller to work. Usually it's just a matter of turning the thermostat to maximum-cold and letting the STC1000 do the work. But the Baby Fridge's thermostat/housing got in the way of re-positioning the cooling plate so it was just as easy to remove it. 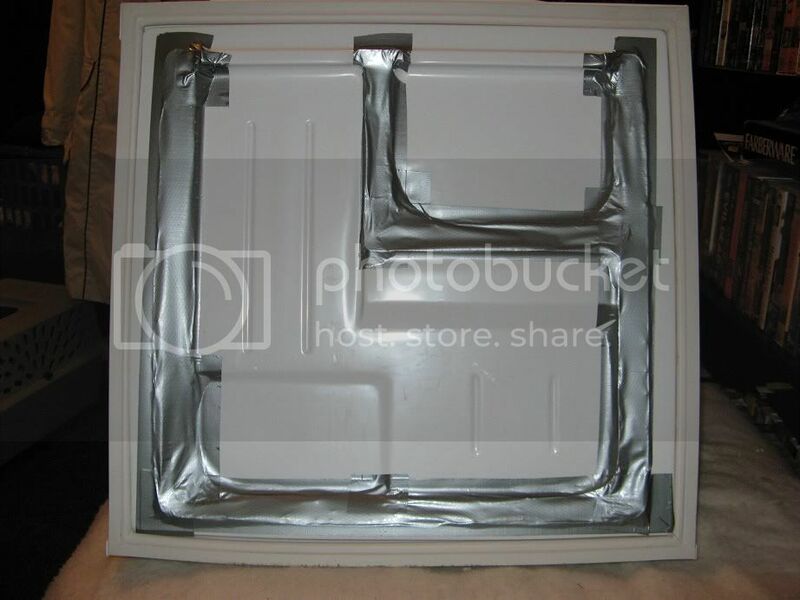 Since the thermostat is essentially a switch, it's easily bypassed by cutting and then shorting the wires. The Baby Fridge now fits a 5L starter-flask which it didn't before the modifications.